As a rising number of people use their smartphones to make purchases, cyber criminals will up their efforts, too. According to the results of a recent survey, most cyber security experts (87 percent) now feel that as mobile payments become more popular over the next 12 months, it will also bring about a rise in the number of associated data breaches. Equally, 42 percent of surveyed cyber security experts had also already used that transaction method this year. The survey involved the participation of 900 experts in cyber security. It was conducted by ISACA and it suggested that mobile payments are likely to progress without any real barrier from security concerns. Among the respondents to this survey, only 23 percent said that they felt that smartphone payments were actually a safe way to store personal information. Another 47 percent said that they felt that this type of transaction is entirely unsecure. An additional 30 percent of respondents said that they were unsure as to whether or not the transactions were secure. 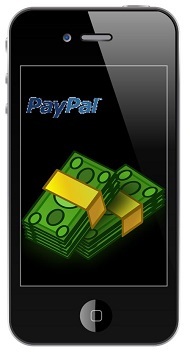 Regardless of the risk that is associated with security, it looks as though mobile payments are moving ahead. Nearly 89 percent felt that cash remains the most secure way for payments transactions to be completed, today. That said, only 9 percent of the respondents said that this was their preferred method of payment. The report also indicated that mobile payments based on contactless and NFC technology will be continuing their growth. As a whole, the marketplace for these transactions is predicted by Future Market Insights to be worth $2.8 trillion in five years. The cyber security experts felt that the best way to boost the security of the transactions is to use two authentication methods (66 percent) and to require a short-term authentication code (18 percent).